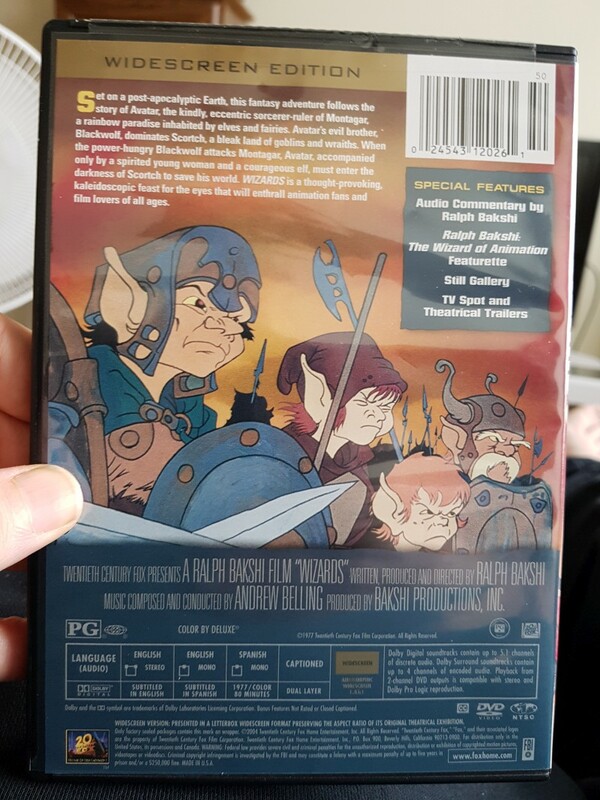 The description on the front cover says it all, almost. This is a very well laid out story done with at the time, cutting edge animation. The images are very much like a comic book of the 1970's. 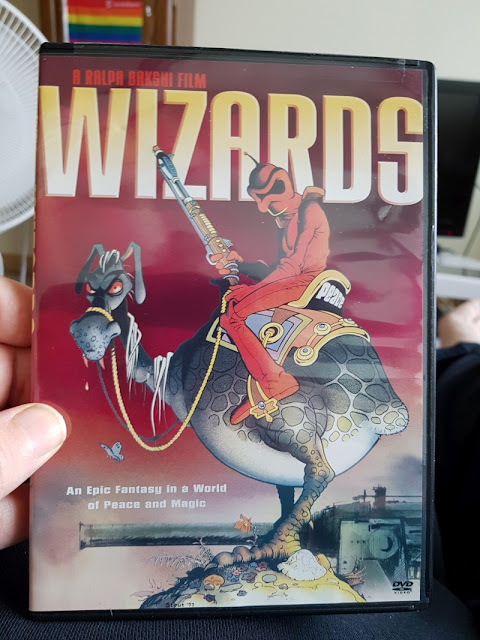 Released in 1977, this movie is the tale of 2 brothers who are wizards and struggle to dominate the world - well one does and the other wants to keep it free and peaceful. There are ties to WWII images in this movie to say the least and they are used as shock value on one hand and to drive the point home on the other hand. Like WWII there is a coming together of many cultures to fight the evil wizard and his hoard. This is a powerful statement against the use of war to solve problems. It also takes a deep poke at religion as being part of the problem and not any kind of solution. Instead the earth and nature is the way they draw inspiration.